“As much as we wanted to be parents, we anticipated parenthood in fear. People said that children came with no instructions, and it felt like we were embarking on an experiment where the outcome was controlled by outside circumstances (e.g. good genes and luck) and some mysterious set of right actions that parents needed to “guess.” In other words, we didn’t know how to be successful, but unlike other similar endeavors we never hesitated to take on in life, this one had a human life at stake, or as it turned out two lives. 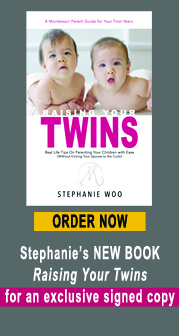 Before we adopted our twin girls, we were very fortunate to read Stephanie’s book “Raising Your twins.” The book gave us hope that we could become decent parents and also stay sane. Our girls were born at 32-weeks-old and from day one we had our back covered with Stephanie’s coaching. She thought importance of skin-to-skin time, gave us zeal to fight with the hospital when our girls got separated and, believe it or not, based on her guidance we gave a few good tips to very experience nurses in how to bathe babies. What would’ve happened if we didn’t have Stephanie’s support? We would still survive; we would’ve made tons of mistakes and we would’ve not know that we made them; the whole introduction to parenting would be much harder and more painful for us and the girls. In fact, it would probably be like what many parents around us experienced and warned us about. The truth is we didn’t want to survive, we wanted to give our children best of what *they* needed and continue enjoy our lives. We just followed Stephanie’s advice, or to be more accurate the framework she provided for us. 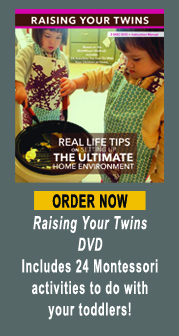 Inside the framework we can understand child development and watch for individual needs of our children (and though our girls are twins, they differ quite a bit in their needs.) For example they started sleeping through the night at two months, and by four that was our business as usual. 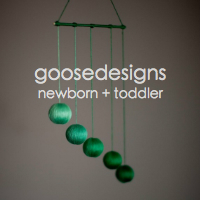 Our home is set up in the way that supports kids environment (and we saved a lot of money not buying traditional baby junk) and we are very prepared for their next milestones. Most importantly, we don’t have fear now – we know there is art and science to raising kids. Stephanie’s support and Montessori method gives us the science of child development and teaches the art of applying it to an individual child. Based on right tools, we figured out that that with some additional organization and preparation we could maintain values and style of our life that we had before we became parents.